Did You Know? GM Crops are Sown in Wildlife Refuges Across U.S.
Americans are finally waking up to the reality of genetically engineered food—what it is, and its many dangers to human health and the environment. 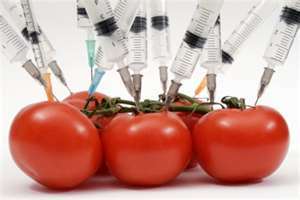 Genetically engineered (GE) foods are also known as genetically modified (GM), or as genetically modified organisms (GMO). In the video above, activist Adam Eidinger proposes a GMO shareholder resolution at Monsanto's 2012 annual shareholder meeting. He tries to make the board and shareholders more aware of the dangers of Monsanto's pesticides and GMOs, the company's questionable practices, and the growing consumer backlash. Mia, thank you for bringing this to light. My body has been rebelling against GM food for decades. Although nothing appears on the ingredient labels, I can "tell" immediately what's "real" and what's been altered. This is important. Keep up the good work!